You're in the perfect spot to take advantage of all the benefits of renting a bach at Omaha with this little beauty in a central location. 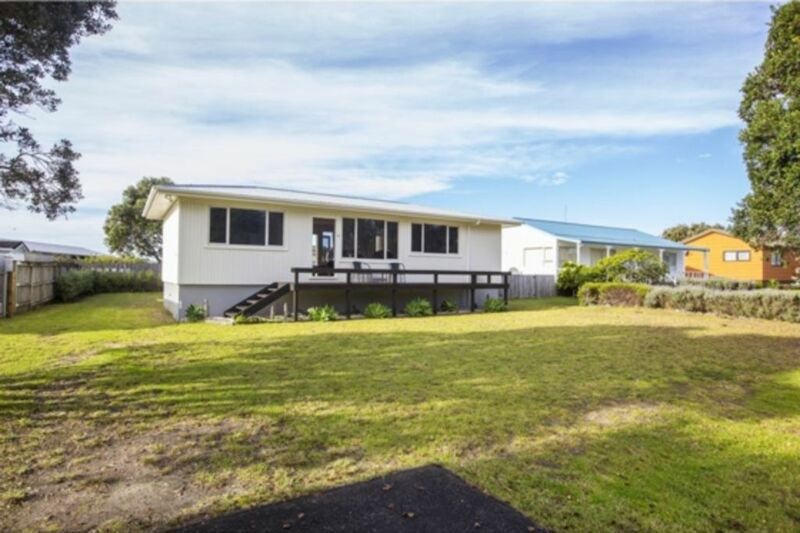 Just a few hundred metres to the golf course, tennis courts and bowling greens and centrally located between the boat ramp and the shops and cafe at Omaha. The low maintenance, nicely refurbished and sunny bach features a lovely open plan living area with great indoor/outdoor flow to a large private deck out the back and another deck on the front. Two generous sized bedrooms, extra sleep-out, separate laundry and family bathroom complete the home on an easy care section with plenty of room to pitch a tent or park the boat. A perfect bach to enjoy the summer. Great place and awesome location! We have stayed twice and we will definitely come back. Great location, handy to shops, beach and golf course. We really enjoyed our stay in Omaha. We really enjoyed our stay in Omaha. The house is only a short walk to the beach via a walkway and was clean and as pictured. The only negatives were: (i) that it got very hot by the afternoon and it would have been great if there was a fan provided; and (ii) the kitchen is small with not much workspace, but overall a good value-for-money property in a lovely location. Perfect location. Everything organized and clean. We really enjoyed our stay and we will definitely come back. Very clean & tidy. Great, central location. The property was lovely and tidy, it has all you need for a great holiday.